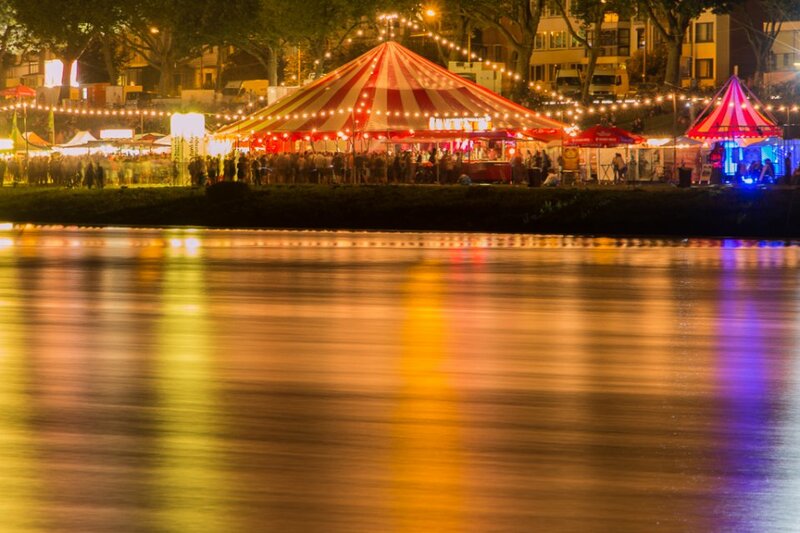 Once a year, for five exciting days, stages and stands light up the banks of the Weser: The Breminale invites you to come and enjoy music, art, and culture -outdoors. A truly exceptional festival. 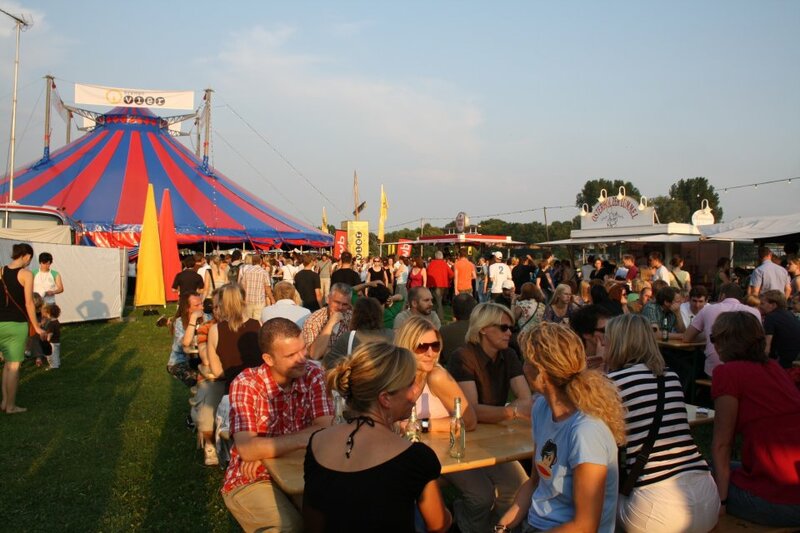 The Breminale is a five-day open-air festival on Bremen’s Osterdeich, taking place every summer. The festival offers a wide-ranging programme for everyone. The programme includes live music in circus tents, art, jugglers and jesters, games for kids, as well as theatre, dance and readings. Numerous food stands sell delicious international specialities. A day out at the Breminale can easy carry on into the night. Since the first Breminale in 1987 – which took place on the market square in the city centre – the festival has grown remarkably. With its combination of great music and cultural activities, it has grown to be one of highlights of Bremen’s cultural scene. Now, as many as 220,000 visitors come to enjoy the Breminale every year. The music programme is multi-facted. Numerous bands play on various stages. 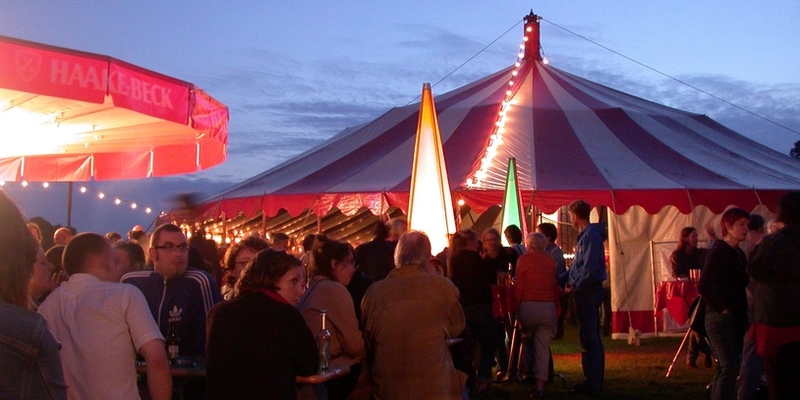 The festival grounds stretch out for nearly a kilometre along the Osterdeich and the lawn behind the Kunsthalle. The music programme has fantastic talent and the cultural programme held on the lawn invites you to linger, enjoy, and relax. With its mix of music, theatre, film, and comedy, as well as plenty of hands-on activities for kids, everyone, young and old, has a great time at the Breminale. 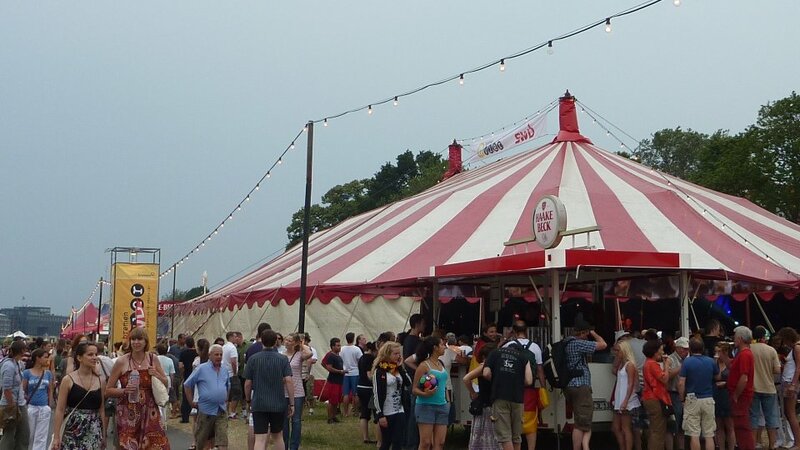 Throughout the festival grounds, in between the tents with their throbbing music and dancing crowds, are food stands with delicious international specialities. Find a quieter place along the dike to kick-back, relax and enjoy your treat. 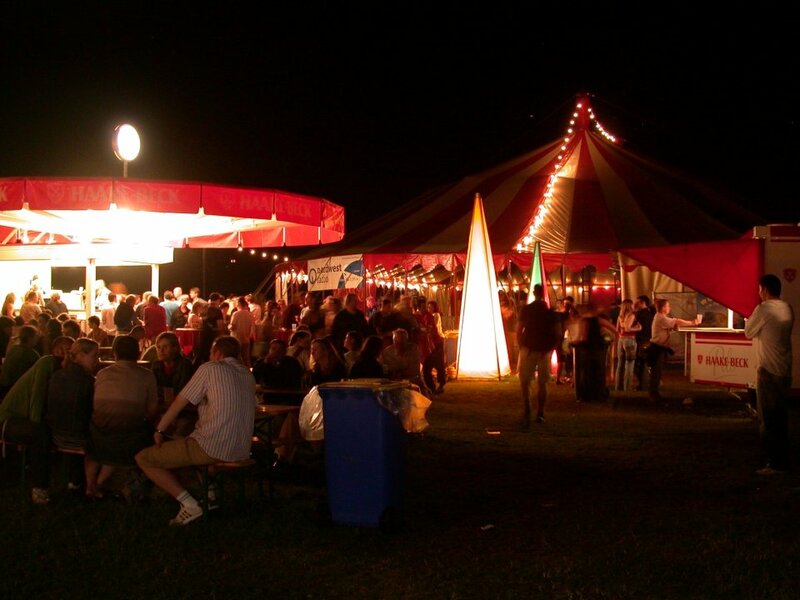 Together with art and music, there is special cuisine in the “Eco Village”, and every year on Sunday during the Breminale a “Dike Banquet” is held. Over 250 people share a table and enjoy a three-course meal of regional bio produce.